A senior member of the Assembly of Experts said that having missile capabilities was vital for Iran adding that they “had the formula to build an atomic bomb”. He also attacked the US in his Sunday speech carried by state-run news agencies. “America’s mischief decreased Iran’s nuclear power. The JCPOA ended. Our missile capabilities is what protects us in these conditions,” Tehran’s substitute Friday prayer leader said. “If they take away our missile capabilities, the day will turn into night for the nation of Iran,” Ahmad Khatami added. The senior cleric known for his controversial remarks also cited popular protests in Iran and that “the enemy” was behind them. “The Supreme Leader (Ali Khamenei) predicted the seditions in the upcoming (Persian) year. The enemy wants those who are under pressure from high prices to come to the streets and the anti-revolutionaries are riding on this wave,” he said. 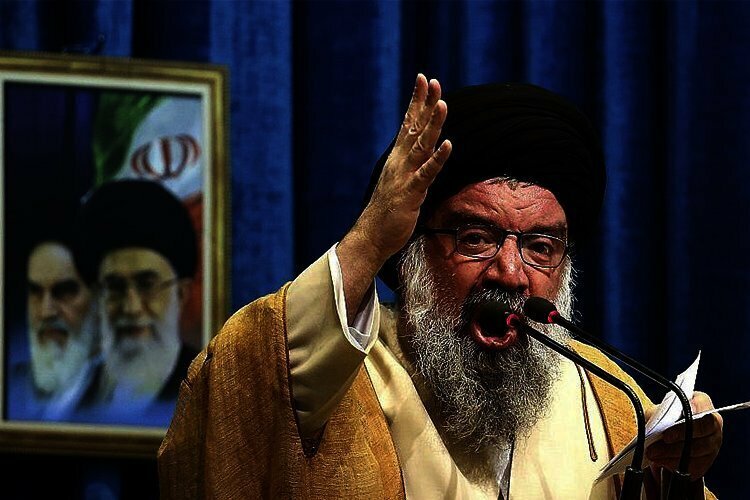 Speaking on behalf of Iranians, Ahmad Khatami said that the “people of Iran would slap the enemy in the face”. Poverty stricken people from other regions are also brought in with buses to Tehran to take part in exchange for the day’s food. Iran’s state TV broadcasts the rallies live and exaggerates the numbers of participants and their supposed “high spirits” trying to show that the regime still has support.